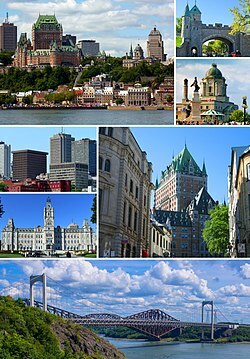 listen); French: Ville de Québec, Abenaki language: Kephek), officially Québec, is the capital city of the Canadian province of Quebec. The city had a population estimate of 531,902 in July 2016 (an increase of 3.0% from 2011), and the metropolitan area had a population of 800,296 in July 2016 (an increase of 4.3% from 2011), making it the second largest city in Quebec after Montreal, and the seventh largest metropolitan area and eleventh largest city in the country. The Algonquian people had originally named the area Kébec, an Algonquin word meaning "where the river narrows", because the Saint Lawrence River narrows proximate to the promontory of Quebec and its Cape Diamant. Explorer Samuel de Champlain founded a French settlement here in 1608, and adopted the Algonguin name. Quebec City is one of the oldest European cities in North America. The ramparts surrounding Old Quebec (Vieux-Québec) are the only fortified city walls remaining in the Americas north of Mexico. This area was declared a World Heritage Site by UNESCO in 1985 as the "Historic District of Old Québec". 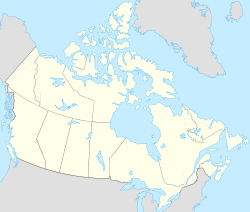 According to the Government of Canada, the Government of Quebec, the Commission de toponymie du Québec, and the Geographical Names Board of Canada, the names of Canadian cities and towns have only one official form. Thus, Québec is officially spelled with an accented é in both Canadian English and French. The Plains of Abraham are located on the southeastern extremity of the plateau, where high stone walls were integrated during colonial days. On the northern foot of the promontory, the lower town neighborhoods of Saint-Roch and Saint-Sauveur (fr), traditionally working class, are separated from uptown's Saint-Jean-Baptiste and Saint-Sacrement (fr) by a woody area attested as Coteau Sainte-Geneviève (fr). Quebec City experiences four distinct seasons. Summers are warm and occasionally hot, with periods of hotter temperatures which compounded with the high humidity, create a high heat index that belie the average high of 22–25 °C (72–77 °F) and lows of 11–13 °C (52–55 °F). Winters are often cold, windy and snowy with average high temperatures -5 to -8 °C (23 to 18 °F) and lows -13 to -18 °C (9 to -0 °F). Spring and fall, although short, bring chilly to warm temperatures. Late heat waves as well as "Indian summers" are a common occurrence. On average, Quebec City receives 1,190 millimetres (46.85 in) of precipitation, of which 899 millimetres (35.39 in) is rain and 303 millimetres (11.93 in) is the melt from 316 centimetres (124.4 in) of snowfall per annum. [note 1] The city experiences around 1,916 hours of bright sunshine annually or 41.5% of possible sunshine, with summer being the sunniest, but also slightly the wettest season. During winter, snow generally stays on the ground from the end of November till mid-April. Along with concrete high-rises such as Édifice Marie-Guyart and Le Concorde on parliament hill (see List of tallest buildings in Quebec City), the city's skyline is dominated by the massive Château Frontenac Hotel, perched on top of Cap-Diamant. It was designed by architect Bruce Price, as one of a series of "château" style hotels built for the Canadian Pacific Railway company. The railway company sought to encourage luxury tourism and bring wealthy travellers to its trains. Alongside the Château Frontenac is the Terrasse Dufferin, a walkway along the edge of the cliff, offering beautiful views of the Saint Lawrence River. The terrace leads toward the nearby Plains of Abraham, site of the battle in which the British took Quebec from France, and the Citadelle of Quebec, a Canadian Forces installation and the federal vice-regal secondary residence. The Parliament Building, the meeting place of the Parliament of Quebec, is also near the Citadelle. North-east aerial view from the Quebec Bridge area. The foreground shows the Sainte-Foy neighbourhood of Saint-Louis and the modern buildings of boulevard Laurier. In the five years between 2006 and 2011, the population of Quebec City grew by 6.5%, compared with an increase of 4.9% for the province of Quebec. The population density of Quebec City averaged 228.6 inhabitants per square kilometre (592 /sq mi). Template:Noref section Quebec City is known for its Winter Carnival, its summer music festival and its Saint-Jean-Baptiste Day celebrations. The Jardin zoologique du Québec, now closed, reopened in 2002 after extensive repairs before ultimately shuttering in 2006. It featured 750 specimens of 300 different species of animals. The zoo specialized in winged fauna and garden themes, but also featured several species of mammals. While it emphasized Quebec's indigenous fauna, one of its main attractions was the Indo-Australian greenhouse, featuring fauna and flora from regions surrounding the Indian Ocean. The city currently has a single professional team, the Capitales de Québec, which plays in the Canadian American Association of Professional Baseball in downtown's Canac stadium. The team was established in 1999, and originally played in the Northern League. It has six league titles, won in 2006, 2009, 2010, 2011, 2012 and 2013. A professional basketball team, the Quebec Kebs, played in National Basketball League of Canada in 2011 but folded before the 2012 season. Various lines of thought were offered, including the popularity of the talk radio stations CHOI and FM93 expressing fiscally conservative and non-politically correct opinions. Over the years, this genre as been qualified by its detractors as radio poubelle (fr) ("trash radio") and hosts like Jeff Fillion and André Arthur likened to shock jocks. Also, compared to the rest of the province, people of the area may favor harsher criminal sentences, and lower-class households may share political views more in line with those earning more. The reasons for this remain unclear. 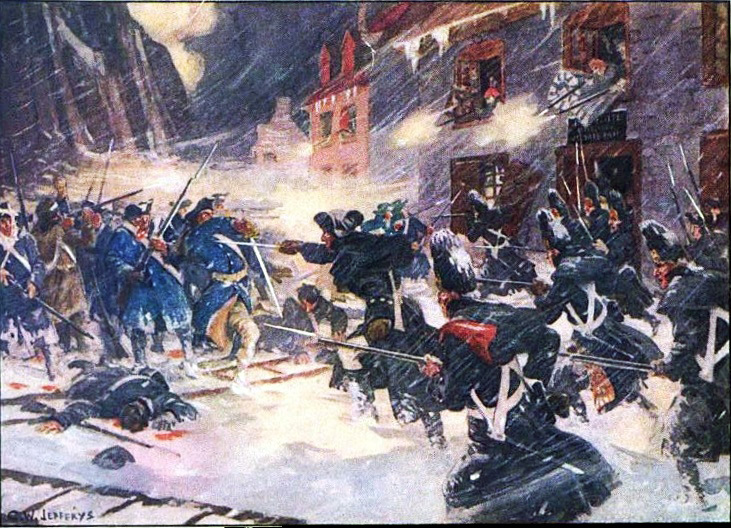 Another researcher put forward the historical factors that led to Montreal surpassing Quebec as the metropolis of British North America in the early 19th century. According to this theory, its permanent status of "second city" (albeit the capital) engendered feelings of "repressed jealousy". ^ Marceau, Stéphane G.; Rémillard, François (2002) (in French). Ville de Québec (4th ed.). Montreal: Guides de voyage Ulysse. p. 14. ISBN 2-89464-510-4. ^ "Incorporation de Québec". http://grandquebec.com/capitale-quebec/incorporation-ville/. ^ a b Canada, Government of Canada, Statistics. "Population and Dwelling Count Highlight Tables, 2016 Census". https://www12.statcan.gc.ca/census-recensement/2016/dp-pd/hlt-fst/pd-pl/Table.cfm?Lang=Eng&T=301&SR=3426&RPP=25&S=86&O=A&CMA=0&PR=0#2016A00052423027. ^ a b Canada, Government of Canada, Statistics. "Population and Dwelling Count Highlight Tables, 2016 Census". https://www12.statcan.gc.ca/census-recensement/2016/dp-pd/hlt-fst/pd-pl/Table.cfm?Lang=Eng&T=205&S=3&RPP=100. ^ "(Code 421) Census Profile". 2011 census. Statistics Canada. 2012. http://www12.statcan.gc.ca/census-recensement/2011/dp-pd/prof/details/page.cfm?Lang=E&Geo1=CMA&Code1=421&Geo2=PR&Code2=01&Data=Count&SearchType=Begins&SearchPR=01&B1=All. ^ Vallières, Marc. "Québec City". http://www.thecanadianencyclopedia.com/articles/quebec-city. ^ "Québec, City of Québec, Quebec City". Public Works and Government Services Canada. http://www.btb.termiumplus.gc.ca/tpv2guides/guides/wrtps/index-eng.html?lang=eng&lettr=indx_catlog_q&page=9M186EWC4Ldg.html. Retrieved 30 May 2015. ^ a b "Place Names - Québec". Government of Canada. 2016. http://www4.rncan.gc.ca/search-place-names/unique/EHTWR. ^ a b "Québec, Ville [Census subdivision, Quebec and Québec, Territoire équivalent [Census division], Quebec"]. Census 2016. Statistics Canada. http://www12.statcan.gc.ca/census-recensement/2016/dp-pd/prof/details/page.cfm?Lang=E&Geo1=CSD&Code1=2423027&Geo2=CD&Code2=2423. ^ Canada, Government of Canada, Statistics. "Population and Dwelling Count Highlight Tables, 2016 Census". https://www12.statcan.gc.ca/census-recensement/2016/dp-pd/hlt-fst/pd-pl/Table.cfm?Lang=Eng&T=205&S=3&RPP=100. ^ "Old Quebec City, Seven Wonders of Canada". cbc.ca. http://www.cbc.ca/sevenwonders/wonder_quebec_city.html. Retrieved 12 February 2008. ^ "Québec, City of Québec, Quebec City". Public Works and Government Services Canada. 2016. http://www.btb.termiumplus.gc.ca/tpv2guides/guides/wrtps/index-eng.html?lang=eng&lettr=indx_catlog_q&page=9M186EWC4Ldg.html#zz9M186EWC4Ldg. Retrieved 29 October 2016. ^ "Names (geographical)". Public Service Commission of Canada. http://www.psc-cfp.gc.ca/abt-aps/stgd-gdst/index-eng.htm#toc2.15. Retrieved 29 October 2016. ^ Government of Canada. "Geographical Names". The Canadian Style. http://www.btb.termiumplus.gc.ca/tcdnstyl-chap?lang=eng&lettr=chapsect15&info0=15#zz15. Retrieved 29 October 2016. ^ "CBC.CA - Seven Wonders of Canada - Your Nominations - Old Quebec City, Quebec". http://www.cbc.ca/sevenwonders/wonder_quebec_city.html. ^ "Fort Charlesbourg Royal National Historic Site of Canada" (in en). Parks Canada. https://www.historicplaces.ca/en/rep-reg/place-lieu.aspx?id=16661. ^ "View of Quebec, Capital of Canada". World Digital Library. http://www.wdl.org/en/item/224. Retrieved 11 February 2013. ^ Morison, Samuel Eliot (1972). The Oxford History of the American People. New York City: Mentor. p. 150. ISBN 0-451-62600-1. ^ "George R, Proclamation, 7 October 1763 (Royal Proclamation)". https://primarydocuments.ca/royal-proclamation-1763/. ^ Cartier, Gwenaël (2009). "Québec 1608-2008 : 400 ans de statistiques démographiques tirées des recensements" (in fr). Cahiers québécois de démographie. ^ "QUÉBEC CITY, FORTRESS AND PORT (1756–1867)". Ville de Québec. https://www.ville.quebec.qc.ca/en/apropos/portrait/histoire/1756-1867.aspx. 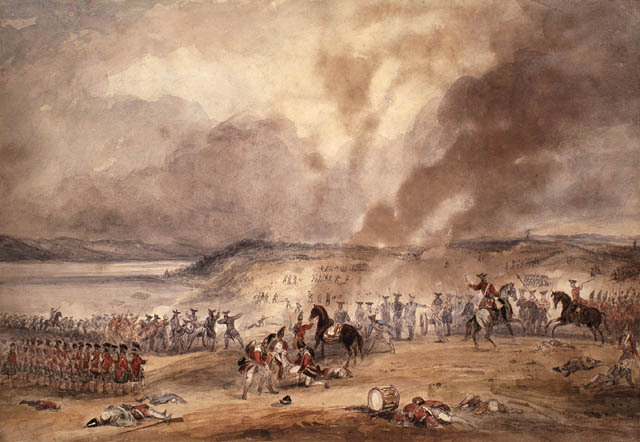 ^ "Canadian Military Heritage Volume 2 (1755-1871). Canadian Militia Unpopular with Francophones" (in en). Department of National Defence. http://cmhg-phmc.forces.gc.ca/cmh-pmc/page-501-eng.aspx. ^ Geological Survey of Canada (1999). The 1988 Saguenay Earthquake - a Site Visit Report. p. 63. https://books.google.com/books?id=T0N_uGojlOoC&pg=PA63. ^ Stelter, Gilbert (1982). Shaping the Urban Landscape: Aspects of the Canadian City-Building Process. McGill Queen University Press. ISBN 9780773584860. https://books.google.com/books?id=bZRE9gaBnvAC&pg=PA163. ^ "Québec Portal > Portrait of Québec > Administrative Regions > Regions". http://www.gouv.qc.ca/portail/quebec/pgs/commun/portrait/regions/description/?lang=en#03. Retrieved 13 May 2009. ^ "An Act respecting the National capital commission, R.S.Q. c. C-33.1". CanLII. 4 May 2009. http://www.canlii.org/en/qc/laws/stat/rsq-c-c-33.1/latest/rsq-c-c-33.1.html. Retrieved 13 May 2009. ^ Peel, M. C. and Finlayson, B. L. and McMahon, T. A. (2007). "Updated world map of the Köppen–Geiger climate classification". Hydrol. Earth Syst. Sci. 11 (5): 1633–1644. DOI:10.5194/hess-11-1633-2007. ISSN 1027-5606. ^ "Daily Data Report for July 1953". Canadian Climate Data. Environment Canada. http://climate.weather.gc.ca/climate_data/daily_data_e.html?hlyRange=%7C&dlyRange=1872-06-01%7C1959-02-28&mlyRange=1872-01-01%7C1959-12-01&StationID=5249&Prov=QC&urlExtension=_e.html&searchType=stnName&optLimit=yearRange&StartYear=1840&EndYear=1930&selRowPerPage=25&Line=0&searchMethod=contains&Month=7&Day=8&txtStationName=quebec&timeframe=2&Year=1953. Retrieved 8 July 2016. ^ "Daily Data Report for January 1890". Canadian Climate Data. Environment Canada. http://climate.weather.gc.ca/climate_data/daily_data_e.html?hlyRange=%7C&dlyRange=1872-06-01%7C1959-02-28&mlyRange=1872-01-01%7C1959-12-01&StationID=5249&Prov=QC&urlExtension=_e.html&searchType=stnName&optLimit=yearRange&StartYear=1840&EndYear=1930&selRowPerPage=25&Line=0&searchMethod=contains&Month=1&Day=8&txtStationName=quebec&timeframe=2&Year=1890. Retrieved 8 July 2016. ^ "Daily Data Report for January 2015". Canadian Climate Data. Environment Canada. http://climate.weather.gc.ca/climate_data/daily_data_e.html?hlyRange=2005-03-24%7C2016-07-07&dlyRange=1992-12-04%7C2016-07-06&mlyRange=1998-01-01%7C2016-03-01&StationID=26892&Prov=QC&urlExtension=_e.html&searchType=stnName&optLimit=yearRange&StartYear=1840&EndYear=2016&selRowPerPage=25&Line=4&searchMethod=contains&Month=1&Day=1&txtStationName=quebec&timeframe=2&Year=2015. Retrieved 8 July 2016. ^ "Quebec/Jean Lesage INT'L A, Quebec". Canadian Climate Normals 1981−2010. Environment Canada. http://climate.weather.gc.ca/climate_normals/results_1981_2010_e.html?stnID=5251&lang=e&dCode=0&province=QUE&provBut=Go&month1=0&month2=12. Retrieved 8 May 2014. ^ "QUEBEC/JEAN LESAGE INTL A". Environment Canada. ftp://ftp.tor.ec.gc.ca/Pub/Normals/English/QUE/QUE_L'AL-QUEB_ENG.csv. Retrieved July 29, 2015. ^ "QUEBEC/JEAN LESAGE INTL". Canadian Climate Data. Environment Canada. http://climate.weather.gc.ca/climate_data/monthly_data_e.html?hlyRange=2005-03-24%7C2016-07-07&dlyRange=1992-12-04%7C2016-07-06&mlyRange=1998-01-01%7C2016-03-01&StationID=26892&Prov=QC&urlExtension=_e.html&searchType=stnName&optLimit=yearRange&StartYear=1840&EndYear=2016&selRowPerPage=25&Line=4&searchMethod=contains&Month=1&Day=1&txtStationName=quebec&timeframe=3&Year=2016. Retrieved 28 March 2016. ^ "Quebec". Canadian Climate Data. Environment Canada. http://climate.weather.gc.ca/historical_data/search_historic_data_stations_e.html?searchType=stnName&timeframe=1&txtStationName=quebec&searchMethod=contains&optLimit=yearRange&StartYear=1840&EndYear=1930&Year=2016&Month=7&Day=8&selRowPerPage=25. Retrieved 28 March 2016. ^ "Ville de Québec - Parks and Gardens". http://www.ville.quebec.qc.ca/EN/touristes/voir/attraits/parcs_jardins.aspx#tabs. ^ "Le Parc Chauveau: la nature à ma portée!" (in fr) (pdf). Ville de Québec. https://www.ville.quebec.qc.ca/docs/publications/277_publication_2_530.pdf. ^ Hogdson, Larry (2018-09-08). "Québec, toujours un désert botanique?" (in fr-CA). https://www.lesoleil.com/maison/horticulture/quebec-toujours-un-desert-botanique-902ac285ddcced46037a826d41aa4b23. ^ Québec, Office du tourisme de. "Promenade Samuel-De Champlain" (in en). https://www.quebecregion.com/en/businesses/sports-outdoor-activities-wellbeing/hiking/promenade-samuel-de-champlain/. ^ a b "Où sera le centre-ville de Québec dans le futur?" (in fr-ca). 7 October 2018. https://ici.radio-canada.ca/nouvelle/1128103/centre-ville-futur-quebec-urbanisme. ^ "Évolution démographique des 10 principales villes du Québec (sur la base de 2116) selon leur limites territoriales actuelles1, Recensements du Canada de 1871 à 2011". Stat.gouv.qc.ca. Archived from the original on 6 October 2013. https://web.archive.org/web/20131006173408/http://www.stat.gouv.qc.ca/donstat/societe/demographie/dons_regnl/regional/Tableau_top_10.htm. Retrieved 2 January 2012. ^ Canada, Government of Canada, Statistics. "Population and Dwelling Count Highlight Tables, 2016 Census". http://www12.statcan.gc.ca/census-recensement/2016/dp-pd/hlt-fst/pd-pl/Table.cfm?. ^ Morrin Centre. "Anglos in Québec". Literary and Historical Society of Quebec. Archived from the original on 12 February 2012. https://www.webcitation.org/65OBNsnKT?url=http://www.morrin.org/pages/anglos.php. Retrieved 15 March 2007. ^ "Voice of English-speaking Québec: A Portrait of the English-speaking Community in Quebec". Voice of English-speaking Québec. 2007. Archived from the original on 29 September 2007. https://web.archive.org/web/20070929131149/http://www.veq.qc.ca/enter/pages/portrait.htm. Retrieved 15 March 2007. ^ Canada, Government of Canada, Statistics. "Statistics Canada: 2006 Community Profiles". http://www12.statcan.ca/census-recensement/2006/dp-pd/prof/92-591/details/page.cfm?Lang=E&Geo1=CSD&Code1=2423027&Geo2=PR&Code2=24&Data=Count&SearchText=quebec&SearchType=Begins&SearchPR=01&B1=All&Custom=. ^ "Canada's largest employers by city, 2007: Quebec City". University of Western Ontario. Archived from the original on 18 April 2010. https://web.archive.org/web/20100418062010/http://www.lib.uwo.ca/programs/companyinformationcanada/canadaslargestemployersbycity2007.html. ^ "Here’s a quick glance at unemployment rates for June, by Canadian city". 2018-07-06. https://business.financialpost.com/pmn/business-pmn/heres-a-quick-glance-at-unemployment-rates-for-june-by-canadian-city-2. ^ "History of Major Special Olympics Canada (SOC) Events" (PDF). Special Olympics Canada. 29 January 2007. Archived from the original on 6 July 2011. https://web.archive.org/web/20110706203531/http://www.specialolympics.ca/en/images/pdfs/sports_gameshistory.pdf. Retrieved 14 July 2011. ^ "Here comes the 4th Tour de Quebec!". tourdequebec.com. http://www.tourdequebec.com/. Retrieved 14 July 2011. ^ Karine Gagnon, Qmi Agency (1 March 2011). "Quebecor joins arena plan, eyes NHL team | Hockey | Sports". Toronto Sun. http://www.torontosun.com/sports/hockey/2011/03/01/17451741.html. Retrieved 2 January 2012. ^ McParland, Kelly (2 March 2011). "The Quebec gravy train chugs off without Ottawa on board for once". Full Comment. National Post. Archived from the original on 11 March 2011. https://nationalpost.com/full-comment/the-quebec-gravy-chain-chugs-off-without-ottawa-on-board-for-once. ^ "Quebec City plans $400 million arena to attract NHL team, Winter Olympics — ESPN". Sports.espn.go.com. 16 October 2009. http://sports.espn.go.com/nhl/news/story?id=4564924. Retrieved 2 January 2012. ^ a b Duval, Alexandre. "Politique : un chercheur perce une partie du « mystère Québec »" (in fr-ca). https://ici.radio-canada.ca/nouvelle/1049716/mystere-region-quebec-politique-vote-droite-etude. ^ Daoust, Jean-François (15 August 2017). "Le mystère de Québec: les moins bien nantis rejettent la gauche" (in fr). https://www.ledevoir.com/opinion/idees/505698/le-mystere-de-quebec-les-citoyens-moins-bien-nantis-rejettent-la-gauche. ^ Himelfarb, Jordan (10 October 2018). "The Bloc's Quebec City fortress". https://www.theglobeandmail.com/news/politics/the-blocs-quebec-city-fortress/article20388363/. ^ Peritz, Ingrid (31 August 2012). "Seeking clues to Quebec City’s ballot box mystery". https://www.theglobeandmail.com/news/politics/seeking-clues-to-quebec-citys-ballot-box-mystery/article4511569/. ^ Castonguay, Alec. "Le faux mystère de Québec" (in fr-CA). https://lactualite.com/politique/2012/08/31/le-faux-mystere-de-quebec/. ^ Bilefsky, Dan (18 August 2018). "Quebec’s ‘Trash Radio’ Host Fires Up Outrage, and Big Ratings". https://www.nytimes.com/2018/08/18/world/canada/quebec-trash-radio-jeff-fillion.html. ^ Lachance, Nicolas (20 December 2015). "Il perce (enfin) le mystère Québec" (in fr-CA). https://www.journaldequebec.com/2015/12/20/il-perce-enfin-le-mystere-quebec. ^ Séguin, Rheal (2 May 2011). "Quebec City gives NDP control over the region". https://www.theglobeandmail.com/news/politics/quebec-city-gives-ndp-control-over-the-region/article578479/. ^ "Conseils d'arrondissement". Archived from the original on 6 October 2014. https://web.archive.org/web/20141006105250/http://www.ville.quebec.qc.ca/apropos/vie_democratique/elus/conseils_arrondissement/index.aspx. ^ "Conseils de quartier". Archived from the original on 8 March 2017. https://web.archive.org/web/20170308044912/http://www.ville.quebec.qc.ca/apropos/vie_democratique/participation_citoyenne/conseils_quartier/index.aspx. ^ "2017 Police-reported Crime Severity Index and crime rate, by census metropolitan area" (in en). https://www150.statcan.gc.ca/n1/daily-quotidien/180723/t003b-eng.htm. ^ White, Marianne (28 December 2007). "Quebec City closing in on a year without murder". Nationalpost.com. https://nationalpost.com/news/canada/story.html?id=203698. Retrieved 14 July 2011. ^ Neron, Jean-François (2010). "Bas taux d'homicide: fiche impressionnante pour Québec" (in fr). Le Soleil. https://www.lesoleil.com/archives/bas-taux-dhomicide-fiche-impressionnante-pour-quebec-0e29dab9039864f5d92c0a8bb6fe6dd6. ^ "Suspect in Quebec mosque terror attack was of Moroccan origin, reports show" (in en-US). Fox News. 2017-01-30. http://www.foxnews.com/world/2017/01/30/at-least-five-killed-in-shooting-at-quebec-city-mosque.html. ^ "Police-reported crime statistics in Canada, 2017". https://www150.statcan.gc.ca/n1/pub/85-002-x/2018001/article/54974-eng.htm#a2. ^ "Hate crimes targeting Muslims doubled in 2017, says Quebec City police chief" (in en). CBC News. https://www.cbc.ca/news/canada/montreal/quebec-city-hate-crimes-1.4434028. ^ "Reported hate crimes jumped in Quebec City in year prior to mosque shooting" (in en). CBC News. 29 November 2018. https://www.cbc.ca/news/canada/montreal/quebec-city-hate-crimes-1.4423245. ^ "Rapport annuel 2017" (in fr). p. 12. https://www.ville.quebec.qc.ca/publications/docs_ville/rapport_annuel_police_2017.pdf#page=14. ^ "Rapport annuel 2016" (in fr). p. 20. https://www.ville.quebec.qc.ca/citoyens/police/nouvelles/FichierNouvelle.ashx?fichier=183-Rapport%20annuel%202016.pdf#page=20. ^ "Projet de prolongement de l'axe du Vallon" (in fr). 2004. p. 2. http://www.bape.gouv.qc.ca/sections/mandats/du_vallon/documents/DQ5-1.pdf. ^ "Port of Quebec". Archived from the original on 12 February 2012. https://www.webcitation.org/65OBOVAjc?url=http://www.portquebec.ca/index.php?lang=en_GR. Retrieved 24 June 2009. ^ "Québec fait le ménage dans ses jumelages" (in fr). 7 September 2012. http://www.lapresse.ca/le-soleil/actualites/la-capitale/201209/06/01-4571850-quebec-fait-le-menage-dans-ses-jumelages.php. This page uses content from the English language Wikipedia. The original content was at Quebec City. The list of authors can be seen in the page history. As with this Familypedia wiki, the content of Wikipedia is available under the Creative Commons License.